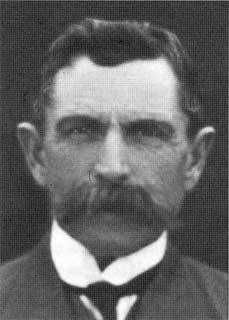 Francis Joseph “Frank” Marshall was born in Banbury, England, in 1860 and was educated at Bedford. He was the third of eight children born to Joseph and Mary Anne Marshall. In 1888 he married Jane Turnbull, the eldest of eight children born to John and Jane Turnbull. Jane and Frank did not have a family. Frank had been raised to country life and developed an aptitude for stock management. It was through this interest that contact was made with Messrs T and S Morrin for the management of stock on Lockerbie estate. After ten years under his management stock numbers there had increased from 1300 sheep and a few cattle to more than 20,000 sheep and a corresponding number of cattle. Lot 12 and Lot 68 in Studholm Street are two of many local properties with past association with Mr Marshall. Mr James Harp”s title (19/10) initially dated 1st January 1880 was transferred to Mr James Rowe, butcher, in October 1886, his having been in occupancy since 1883. In October 1887 the title was registered in Mr Marshall’s name, and the butcher developed into one of the best of its kind in the Waikato. In September 1918 the business was transferred to Mr H B Hopkins. Lot 68, directly opposite Lot 12, was registered in Mr Marshall’s name in November 1905. The National Bank leased its premises from November 1919 until their own building was completed in Thames Street in 1924. Mr Marshall was involved ina wide range of local interests which included the Morrinsville School Committee; Chamber of Commerce; the Morrinsville Agricultural and Pastoral Society – he was its president from its inception in 1919 through to 1922; the local Hunt Club and the Waikato Hunt Club; the Thames Valley Rifle Club and the Defence Rifle Club; the Piako Mounted Rifles (he was Lieutenant); the Cricket Club, Bowling Club, Hockey Club, Tennis Club, and was an active member of the Anglican Church and its warden for a period. He was known as an astute judge of horseflesh and held wide-ranging interests in this are and not only owned race horses in New Zealand but also in Sydney, Australia. His racing colours of black and white stripes were often seen first past the post. He represented horse racing on the New Zealand Sports Protection League. In 1907 he had been a member of the the Morrinsville Improvement Committee and was elected to the inaugural Town Board the following year and then returned each year through to September 1918, he not standing as a candidate then due to doubt as to his eligibility through having entered into business with the Board. He had offered the Board fifty-eight acres for a Recreation Ground after the decision was made not to proceed with a Native Land Reserve. The Board had accepted and financial arrangements were made. However, in May 1921 Mr Marshall became the first Mayor of Morrinsville Borough – through to 1923. Little is recorded of Mrs Marshall’s interests though she must have been a stalwart for the Plunket Society for in 1936 she was made a Life Member of Morrinsville’s Branch in recognition of her services since its formation in 1919. Frank died at Falmouth Street, Murray’s Bay, Auckland, in 1943. This biography was published by the Morrinsville Historical Society in 2008 in “Beyond the Landing. The Centennial of the Establishment of the Morrinsville Town Board in 1908.” It is copyrighted to the Morrinsville Historical Society. The book also notes “that John Turnbull came in 1873 to manage William Innes Taylor’s Te Au-o-Waikato block that stretched from the neighbourhood of the Topehahae Stream to Kiwitahi.” Karaka Bay was part of the Taylor farm, where John had previously worked.